Greenock’s new £21 million Health and Care Centre has moved a step closer after funding was released for work to start this month. 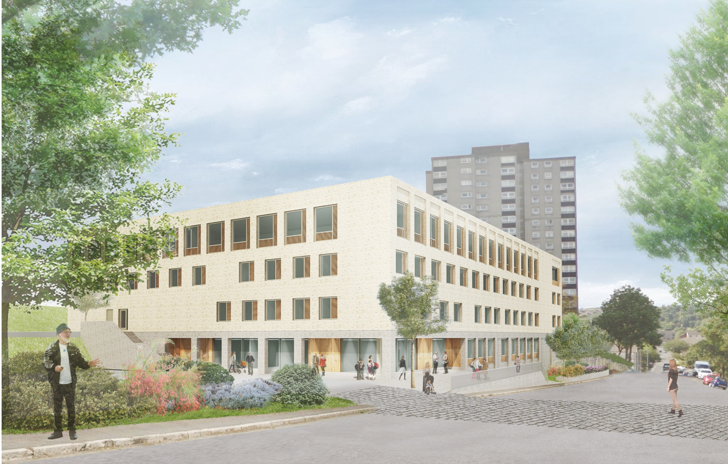 Financial close on the project was achieved after the full business case for the centre was approved by the Scottish Government’s Capital Investment Group. This follows the full business case for the state-of-the-art centre being agreed by our Board in October. Simon Carr, Chairman, Inverclyde Health and Social Care Partnership (HSCP), said: “I am delighted work is now ready to begin on this new centre. It is another major milestone in our plans to deliver a modern, state-of-the-art health and care centre to the people of Greenock. “Our commitment to tackling health inequalities in the area and promoting social regeneration is clearly demonstrated by this centre and the benefits it will bring to local people. Our chairman John Brown said: “The current facilities at Greenock Health Centre are out-dated and not ideal for the provision of modern health and social care services. “We need accommodation that helps us deliver services where there is an emphasis in delivering more care outside hospitals and in local communities. Iain Marley, Chief Executive, hub West Scotland said, “We are thrilled to have reached this important milestone and are grateful for the brilliant efforts by the client and hub West partnership team members that made it possible. Work is anticipated to be completed in Autumn 2020.